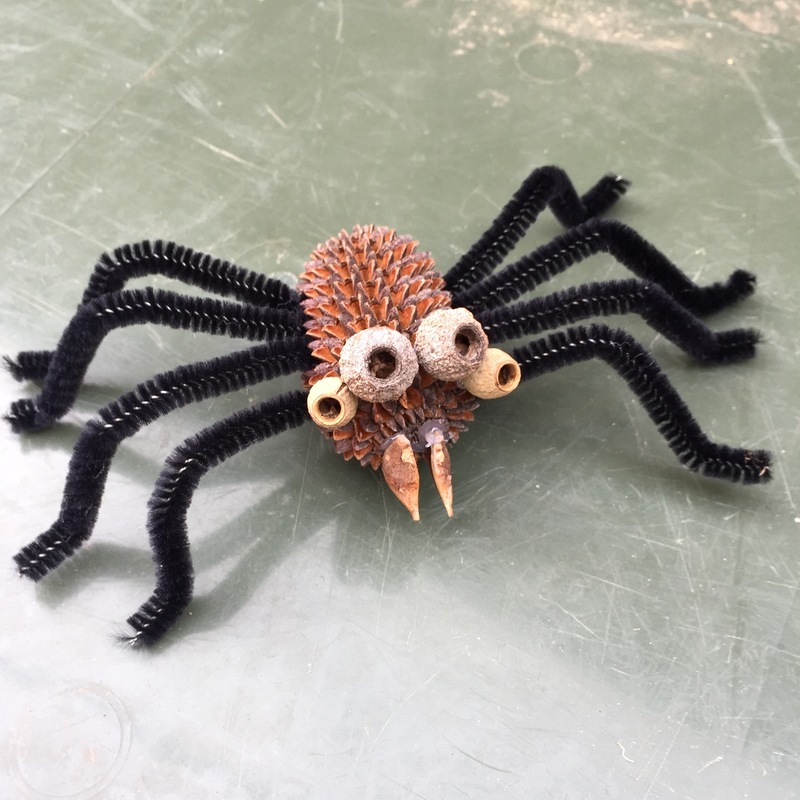 I made this rather spooky Halloween spider using a sheoak pod for the body and gumnuts as eyes. It’s been glued together using a trusty low-melt glue gun. I used black pipecleaner legs and fangs made from a hakea seedpod finish him off. Happy Halloween! 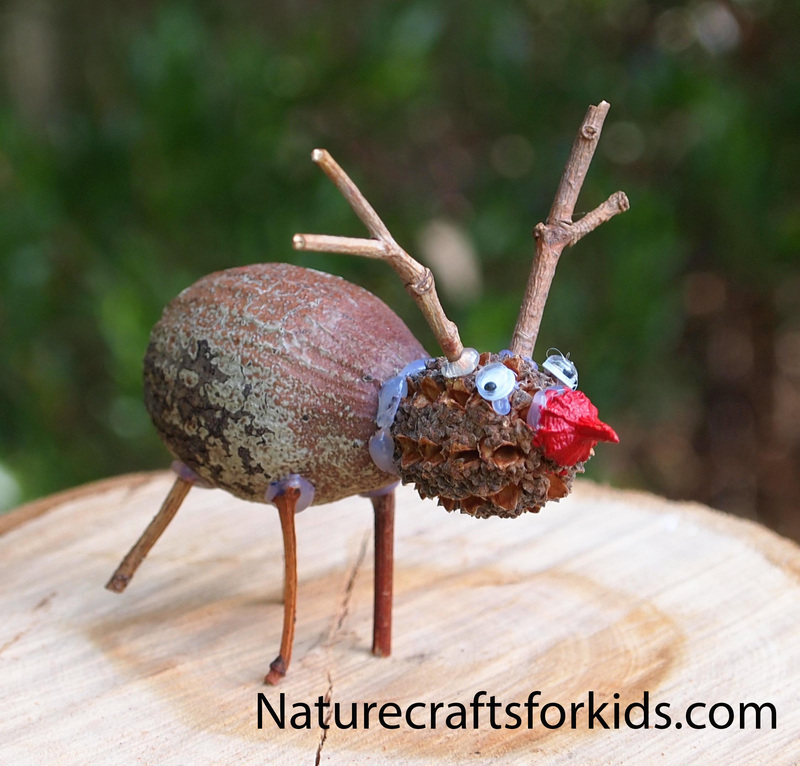 Check out my cool Halloween Bat made from seedpods too! 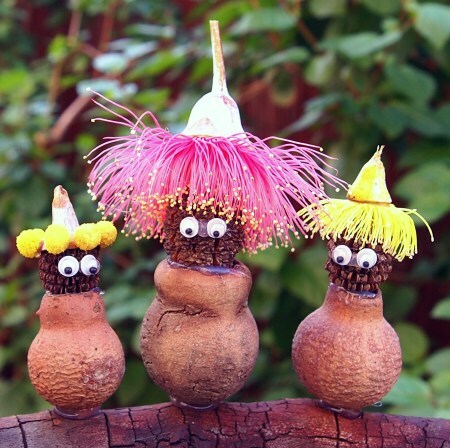 “Gumnut Babies” originated in the creative mind of iconic English-Australian author & illustrator May Gibbs. “Snugglepot and Cuddlepie” are her most famous characters. These are my version, made using large gumnuts for the bodies, sheoak pods for the heads, and fresh gum blossom for the hats. 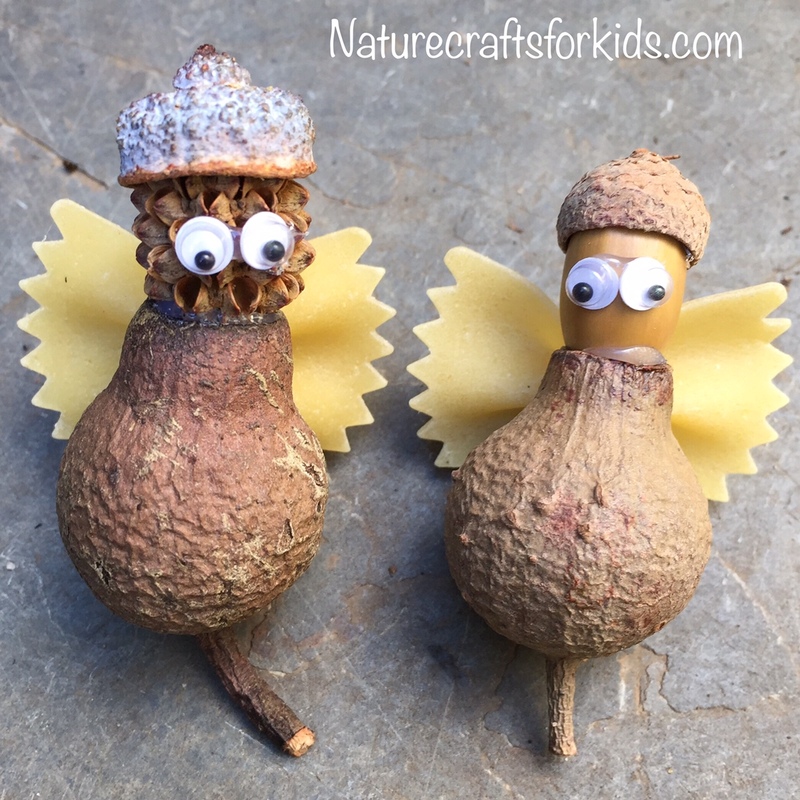 The little one on the left has a gumnut cap with wattle glued around it. I’ve added little plastic eyes, and put them together using a handy dandy low melt glue gun. Easy!